What is the difference between yen ta fo and suki sauce? Good question. 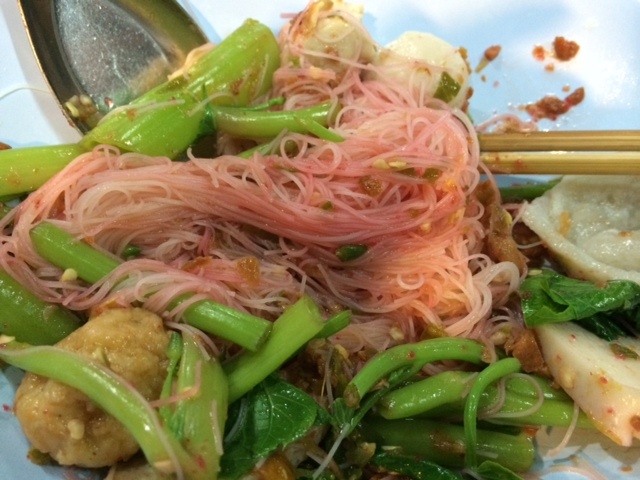 Yen ta fo sauce is much pinker, with far less chilies and garlic and watered down with broth. But:) Suki Nam is also pretty brothy with lots of liquid. So, the taste profile is pretty similar? Only the composition of the whole dish makes it different? 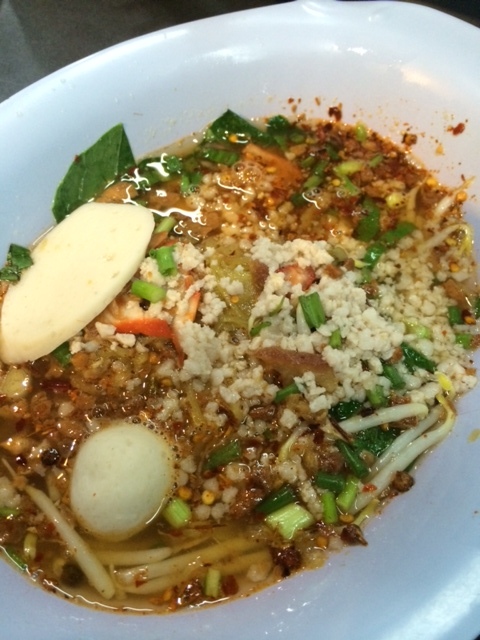 Suki Nam is soupy and yen ta fo is more like a dry dish? They were the two most generically girly-yet-famous products/people I could think of, though I must admit to feeling some sympathy for poor old britney as a person! OK it’s on the same road as the Golden Mount Temple. From Golden Mount, go further along down Mahachai Road (away from Rachadamnern Road) and you will pass in succession on your left a gas station, Thipsamai pad Thai, and then Jay Fai. Thi is on the street corner after Jay Fai, still on the left side.